Another book review, I am afraid. I can’t even promise that this is the last. So all of you who will groan or ask me if Smita’s ghost has entered me – I can’t help it 🙂 Just had to review this. This is another book that I picked on a whim. I end up picking up books by authors of South Asian origin these days. To add to that Anne Cherian was brought in Jamshedpur. So being my compatriot – I just had to read her. Funnily, I read two books with set in Tamilian Brahmin environments and I would whole-heartedly agree with OG in his comment on my previous post about stereotypes. This book was full of it. An orthodox family, where girls are not even allowed to talk to boys. Brought up in secluded environment where all the girls do is get ready to get married. Mother who is constantly worried about the dowry and funnily fathers that are hardly ever mentioned. The obsession with the white skin color. Suneel(Neel) is an NRI who is in a great big hurry to merge into the American society. He intends to make up for his skin colour by marrying a bonafide American woman who can help speed up his entry into American society. Unfortunately for him, that just does not seem to be happening. On a visit to his hometown, he is manipulated to get married to Leila, a 30 year old woman, who was on the verge of being confined to the shelf, thanks to her height. The story is quite predictable, though well written. The location of their hometown, in India, was quite confusing, not that it matters, really. From the initial pages, it sounds like it is a total Tamilian environment, then there is a mention that it is 5 hours away from Bombay, and then again about it being a steel town. So till the end I was not quite sure where it was located. Despite all the clichés and the totally expected ending, it still managed to keep it’s tempo and kept my interest till the end. I would not call it a great read, but it is still a decent read, if you can ignore all the stereotypes and clichés . Not too great , not too bad. 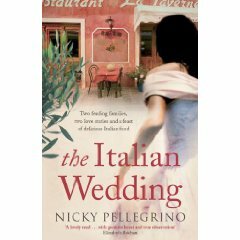 Next Review – The Italian Wedding. It was difficult for me to believe that this book was written by a man. Not that I am trying to be sexist or anything, it is just that the way the characters are built up and the way they act, given the fact that the two main characters are women, it was very intuitive. It was a wonderful read, even more so for a first book. It is a moving tale of two sisters growing up in an ultra- orthodox Tamilian Brahmin family in an agraharam. The elder sister is made to give up school and take up household responsibilities when their mother dies in a road accident. The trials that follow, unpleasant truths being exposed, the various relationships that are built and destroyed and the music which is part of the destiny of one of the sisters. The book also has the proper Tamilian flavour, with all the Tamil words that are liberally sprinkled in conversations. Some of the conversations took me back to my music class days with a maami. The only thing that kind detracted from the book for me was the ending. It lacked something. All in all, it was a good read. 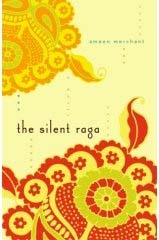 It kept my attention all through and I could empathize with the characters.